Be true to yourself. When it comes to weddings, everybody has different opinions and some people will want to make their wedding dreams come true through your wedding day but remember that this day is all about YOU. So listen to your heart as you plan YOUR dream destination wedding. Take my wedding as an example, instead of having an expensive and traditional wedding with hundreds of guests that I probably had to invite just because it’s the “right thing to do”; hubby and I decided to throw a Surprise Wedding. We used hubby’s birthday month as an excuse to invite a very close group of friends and immediate family to party with us on board a catamaran in the Mexican Caribbean. Everyone was asked to wear all-white and be ready for a fun sailing day!! As soon as they were all on-board, hubby broke the news: “Thanks for coming but today we are not celebrating my birthday; you are all here to celebrate my wedding!” … You can imagine their faces … I walked in with my dad (my parents knew) and the rest was all laughter, happy-dancing, tears and a day everybody including us will always remember. The best part os this story?? Our wedding was just PERFECT and exactly how WE wanted it to be. Stay focused. In a world of Pinterest-worthy-weddings, it’s very easy to get lost in the details (even I dreamt of having those super cute floral ice-cubes). But all of these “must-have” wedding trends can easily make us forget what weddings are really all about: celebrating LOVE and the blessing of marrying your best friend. So yes, go ahead and make a Pinterest board if you’d like but don’t get obsessed over the details to the point that you no longer enjoy your wedding because you are stressing over the gift bags, the matching bridesmaids’ robes, the perfect wedding cake. Go with the flow. During the wedding planning process and on the actual wedding day, there will be many factors that will be out of your control so just “Go with the flow”. Have a Plan B if you can, but remember that not everything will be or happen exactly how you have it planned or envisioned and guess what? It’s totally OK, it’s not the end of the world. Let’s take Maggie & Derek’s wedding as an example. They had to change venues three different times due to hurricanes! However, they never gave up, they kept their hopes high and managed to have their Miracle Wedding in Tulum, Mexico in 2018. Read more about their inspirational story HERE. Maggie & Derek’s Miracle Wedding in Tulum, Mexico photobombed by a running dog. Enjoy. I have heard of this one many times before but it’s true … your wedding day will feel like it passed in 20 mins. It’s crazy how you can spend 3 hours getting ready and have the feeling that it went by in 3 minutes!!! Everything happens so quickly so just try to enjoy and savor every single moment. Hug your mom and dad, have a toast with your friends, laugh at the little things, cry during your ceremony and dance like there is no tomorrow!! Happy bride on the dance floor! Invest in your memories. If you invest in your wedding dress, flowers, and a beautiful wedding destination, why not invest in a professional wedding photographer who can beautifully capture everything you’ve spent months planning? I can’t emphasize enough on the importance of having a professional capture your day, because in the end, after you’ve said your I-do’s and the cake has been eating, your memories are you’ll have left. I’ve been married for 3 years and I still LOVE to re-live that day through my wedding photos. So please, don’t leave this task to a family friend (unfair to them), your cousin who does travel photography or an amateur photographer you found online. Just keep this in mind: Professional wedding photography is expensive because it’s art. It’s not only holding a camera, it’s anticipating moments, giving direction, knowing how to adjust your camera settings in seconds as everything around you is constantly changing. It’s about having those special gadgets to create beautiful light when needed, a trained eye to select the best photos and the right editing skills to enhance the beauty of the moments captured. If you need recommendations for wedding photographers, just ask! 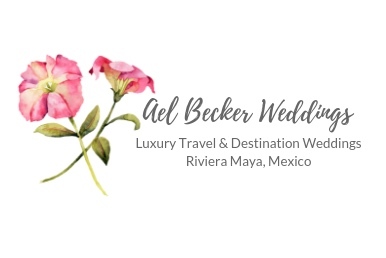 I personally work with a team of incredibly talented destination wedding photographers around the globe and happy to help you find the right one for your day and style. I truly hope these heartful and honest wedding tips and ideas help you through the planning process.